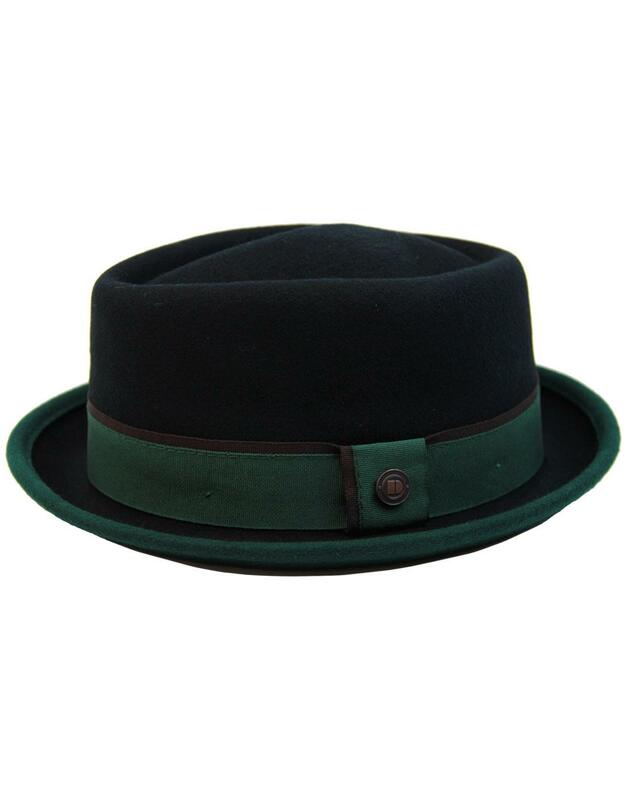 Dasmarca 'Edward' Men's Mod wool felt porkpie trilby hat in black/emerald. The exquisite Retro diamond shaped crown possesses a hint of Mod Revival and Ska influence. The indent to the crown reminiscent of a classic porkpie silhouette. The fab Retro two tone Emerald Green/Black brim adds to the classic Mod appeal. Dual Grosgrain banding in emerald and black and the Dasmarca signature pin finish the 'Edward' porkpie trilby hat off in style. 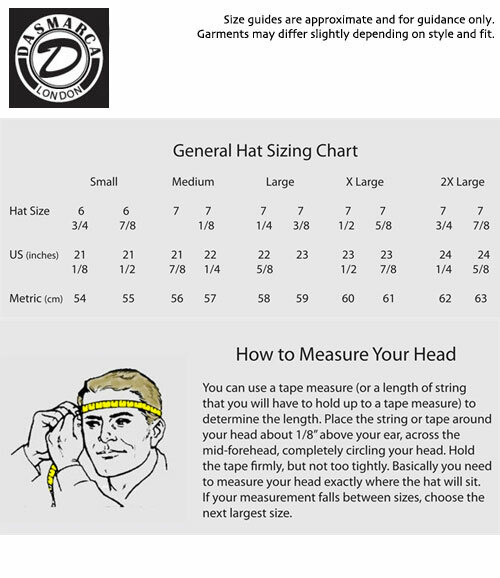 A cool Mod accessory that is sure to enhance any outfit! 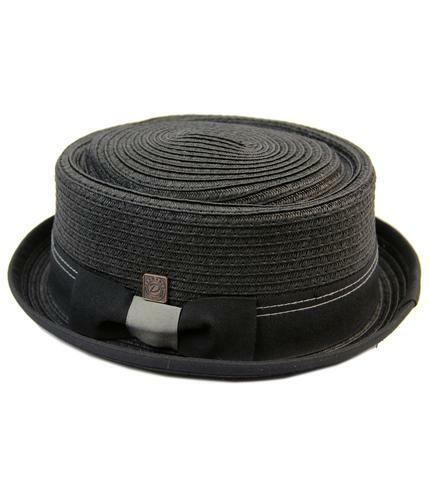 - Dasmarca 'Edward' men's mod wool felt porkpie trilby hat. - Two tone black/emerald colour combination. - Diamond crown with porkpie indent. - Dasmarca signature to side. - Dual grosgrain banding in emerald and black. - Emerald under brim that slightly overlaps to top brim, creating a striking visual texture. 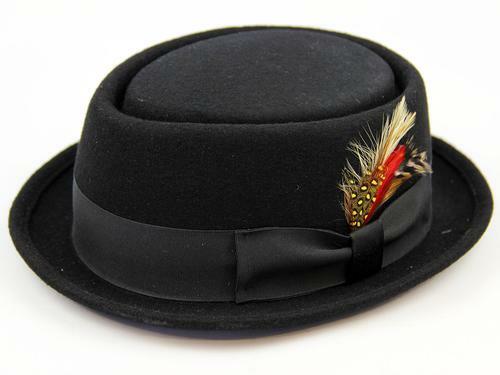 - SKU: SD00135 Edward 2-Tone Porkpie Trilby Hat.